We are planning to register as a tier II compost site with the city. 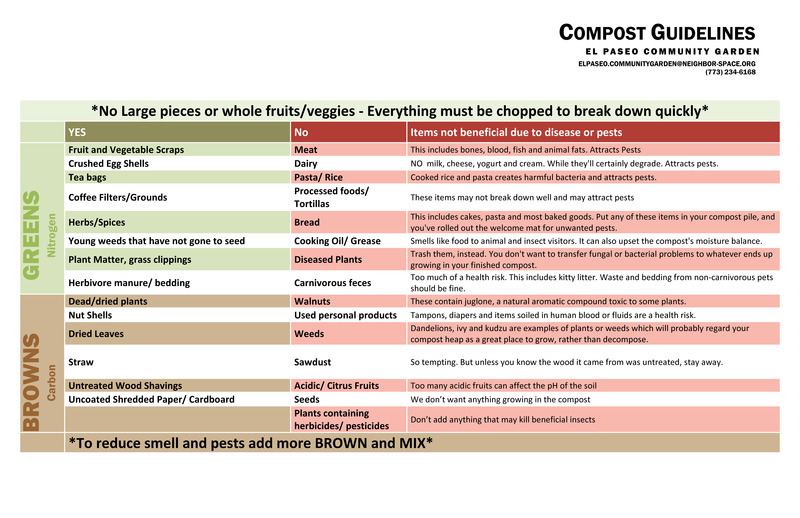 Once we register we will allow neighbors to compost their own landscape and raw food scraps. Please follow our guidelines as posted below. Click below to enlarge guidelines.